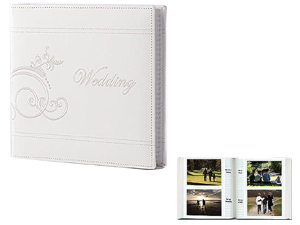 This Embroidered Scroll Leatherette Wedding Photo Album features: 2 horizontal 4x6 photo pockets. Optically clear pockets with white paper background. Overall dimensions: 8-3/4"H x 9"W x 2"